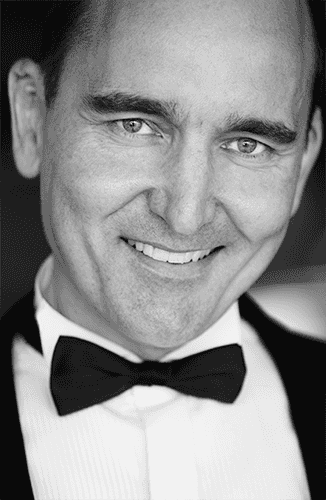 Robert has sung many roles with the West Australian Opera including Koko in The Mikado, Dulcamara in The Elixir of Love, Falke in Die Fledermaus, Hobson in Peter Grimes and John Styx in Orpheus in the Underworld as well as Opera Under the Stars in Broome and Opera in Albany. From 2010 to 2016 Robert toured to WA regional centres and around Perth with the company’s Opera in Education Program. Robert burst onto the cabaret scene with pianist Tommaso Pollio in Desperately Young at Heart winning the Cabaret Award (WA) at Perth Fringe World 2014 in its world-premiere season and touring to Sydney and Melbourne to critical acclaim. His follow-up show, It Ain’t Vot You Do It’s Ze Vay You Do It! premiered at Perth Fringe World in 2015 with a rave review in The West Australian and a sold-out season. In 2015 he performed Desperately Young at Heart at Downstairs at the Maj before taking it to Edinburgh Festival Fringe receiving rave reviews. In 2017 Desperately Young at Heart made a triumphant return to Perth Fringe World in a sell-out season with four star reviews in The West Australian and Out in Perth. This show has also toured to some WA regional centres. Robert’s new cabaret, What the Fandango?! with piano accordionist Cathie Travers made its world premiere at Perth Fringe World 2018 with 5 star reviews and full houses and is back by popular demand at Perth FRINGE WORLD 2019. Since 2011 Robert has performed in the hit show Divalicious, Opera Rocks! touring to Broome, WA regional centres and Adelaide Fringe and the Sydney Opera House to rave reviews. He also stars in Divalicious’ critically acclaimed show based on Mozart’s The Impressario which played at Perth Fringe World 2016 and 2017 and Sydney Opera House in 2017. Robert is also an experienced concert soloist and has has performed Bach’s St Matthew Passion, St John Passion and Mass in B minor, Carmina Burana, Rossini’s Petite Messe Solennelle, Faure’s Requiem, Mozart’s Requiem and Mass in C minor, Vaughan William's Five Mystical Songs, and Messiah with the St Georges Cathedral Consort/Choir under the direction of Joseph Nolan. Also Vaughan Williams’ Dona Nobis Pacem with Collegium Symphonic Chorus and Haydn’s The Seasons, Verdi’s Requiem, with the UWA Choral Society. Robert also enjoys singing Lieder at Art Song Perth recitals.